This fantastic GoPro accessories kit is a must have for any GoPro enthusiast. 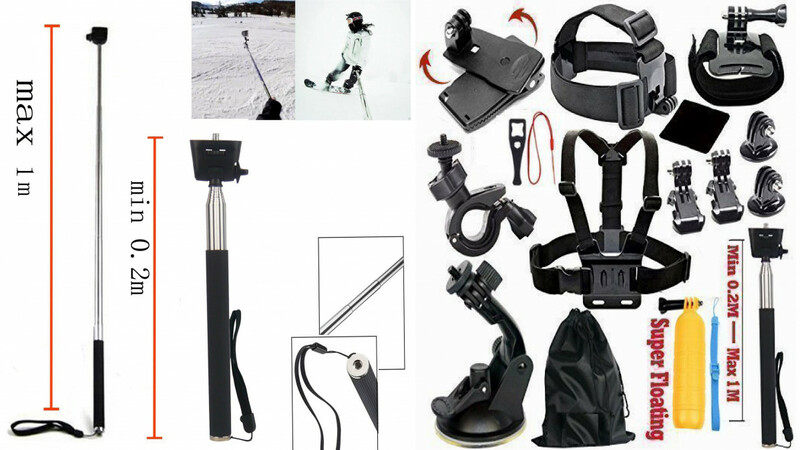 It contains everything that you need for capturing amazing action shots while swimming, riding, parachuting, hiking, diving or whatever else it is that you wish to capture. A variety of mounts are included so that you can fix your camera to yourself, your equipment or anywhere else that you need it to be. There are also protective holders and a waterproof shell included so that you can keep your camera safe while you are filming.